High-quality composite football for players under 10. Composite leather cover with tacky, high-friction surface. Provides high-quality grip for superior aim and control. Cushioned coating is comfortable yet tough. 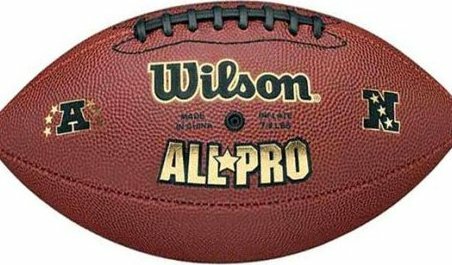 Includes Wilson graphic and official NFL logo.